The main objective is to obtain a position in IT development and maintenance with an interest in exploring upcoming technologies, which fosters professional and personal growth that contributes to the organization. I have a master’s degree from the Illinois Institute of Technology in Information Technology and Management with GPA of 3.9 on 4. Design and development of User Interface are implemented using VueJS, ReactJS, HTML5, CSS, pre-processors, Angular JS, lodash, Gulp, Webpack, HighCharts etc. Worked closely with data scientist to prove schema and data concepts by creating a relevant web application with good visualization. Implemented many POCs and participated in many hackathon. Implemented project using Agile SCRUM methodology. Involved in daily stand up meetings, sprint showcase and sprint retrospective. Conducted code reviews against company standards and made sure the best practices are maintained in development process. Used JIRA for tracking errors and debugging the code. Implemented client side validations in registration forms, login and logout forms using Java Script. Published a paper in Infosys - "DL/I Status codes", which got huge response and very good comments at Infosys KSHOP (Knowledge Portal) portal. This document has helped many employees of Infosys when they faced similar problems while coding in IMSDC. Awarded Best performer award (INSTA Award) for three consecutive quarters for my best performance in Designing, Scripting and executing Test cases with proper deadline and quality. This award boosted my confidence as this recognition is awarded to only outstanding performers among the 150000-odd employees of Infosys. Did a course in HTG on basics of Hardware and Networking in 2005 and secured "A " grade in that institutional test. This motivated me to start an Information Technology Services startup "P S Computers " where we were able to win many clients. A simple express JS client in 5 mins! What do my coworkers have to say? I had the opportunity to manage Prashanth on a couple of different teams. He is the kind of developer I always seek out. He enjoys learning new technology, delivers consistently, and demonstrates the level of commitment above what is expected. In addition, his ability to collaborate with others makes him someone I trust to get the job done. Prashanth is an experienced and reliable front-end software engineer who keeps himself up to date on the latest technologies and good practices in front-end software practices. He has an outstanding work ethic and is open, quick learner, and very professional. While always being positive and helpful, he never hesitates to provide support when apparent. It's a pleasure and an honor to recommend Prashanth to anyone who wants to hire him as a Software Engineer. Prashanth is a capable, friendly and professional individual who was an asset as a member of the Fleet team, and a pleasure to work with. As a Senior Developer on a key customer-facing product, he helped our team bring to market a number of essential features that directly supported our customers and their operations. There are two things I look for in people I am working with: (1) Constructive & progressive attitude (2) Relevant technical skills. And I must say that Prashanth excels in both categories. Prashanth would proactively make suggestions for improvement in our project and would even volunteer to take up the implementation of those tasks. When Prashanth started on our project, he didn't have experience on our technology stack. I'll be honest, I was surprised how fast he got up to speed with our tech-stack without much input from me. This shows that he is a self-starter and quick learner. Besides being a great co-worker, and a great employee to have (for companies), Prashanth has a rear knack for entrepreneurship. I believe this enterprising attitude makes him a great employee as well - Since he is not just taking instructions, he is solving problems. I had worked with Prashanth Naika for close to 3 years. In this time he was an integral part of all the teams that he had worked for. He was fun to be around with and has an equally exceptional passion for coding. He will be an indispensable resource for any company. 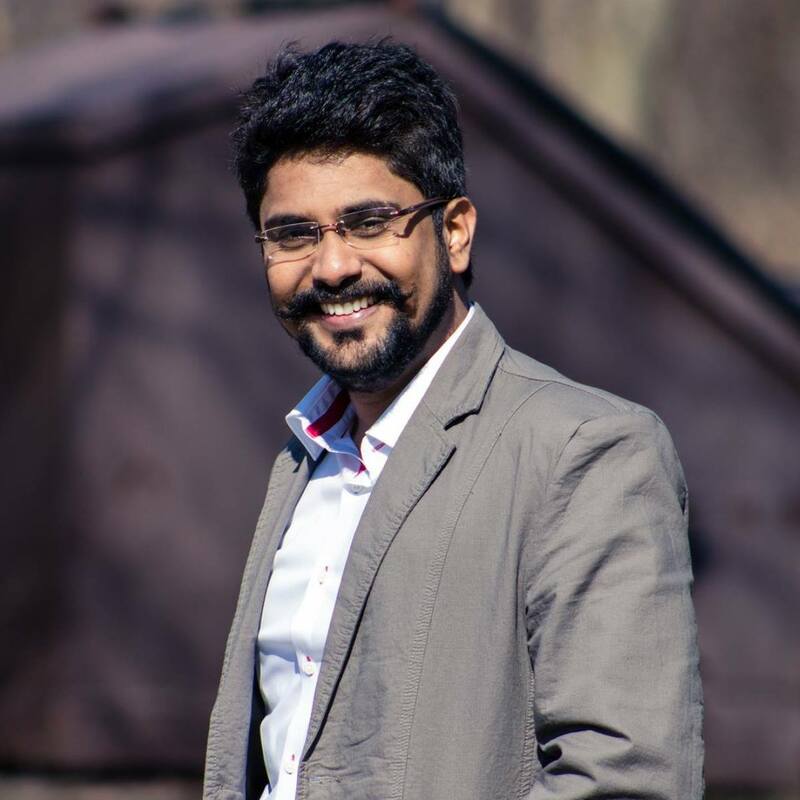 I got to learn a lot from Prashanth when I had the pleasure of working with him at Egen Inc. IMHO he is one of those developers who's in love with the project and technologies used therein. I look forward to working with him in the future. Prasanth and I worked together on a recent project. Prasanth is a detail oriented, innovative and careful perfectionist . He has an extensive knowledge and strong experience in UI and that immensely helped our deadline. He always tried to see the big picture which helped us plan better . I would definitely opt to work with him again . I worked with Prashanth as a Technical lead on an Angular project. I enjoyed working with him. He dug in and got the job done. He would not hesitate to ask questions or offer ideas. I always knew that I did not have to worry about any assignment that he had, it would be done correctly. In the midst of the craziness of delivering a large project in a new technology, he never wavered and always had a great can do attitude. I would without hesitation love to work with him again. That is the best recommendation that anyone can give.